Shakespeare's Globe practitioners, in partnership with The Léni Fé Bland Performing Arts Partnership will spend a week in Santa Barbara working with High School and Junior High students in Santa Barbara and Goleta School Districts. College Audition Workshop: workshop for juniors getting ready to apply to conservatory colleges. They will workshop with the practitioner for 2 hours and practice/improve their monologues. This is new and very exciting. This type of workshop has never been offered by the Globe and they are thrilled that we asked them to give it a shot! Student Workshops: During the school day throughout the entire week of March 12-16. Practitioners will workshop with 9th graders either currently reading, getting ready to read, or have just finished reading Romeo and Juliet. Shakespeare's Globe is a unique international resource dedicated to the exploration of Shakespeare's work and the playhouse for which he wrote, through the connected means of performance and education. Together, the Globe Theatre, Globe Exhibition & Tour and Globe Education seek to further the experience and international understanding of Shakespeare in performance. The Education team at Shakespeare’s Globe Theatre has been working with communities and schools for over two decades, building on established models of best practice, and developing exciting and engaging methods for adults and children to learn about language, history and drama. While in Santa Barbara, members of Shakespear's Globe will be working with local high schools. Joanne was recruited to The Globe by Sam Wanamaker and has worked as a freelance actor, director and teacher with Globe Education since its inception. She directed and devised the first Globe Education Schools touring production of There's Magic in The Web a reworking of Othello for Primary students in 2005, and directed the first Playing Shakespeare with Deutsche Bank production of Much Ado About Nothing in 2007 and 2008. Joanne has specialised in Lively Action workshops for Keystage 3 and 4, and in recent years focused on leading courses in playing Shakespeare for Universities (including Bath, Exeter and Notre Dame), for drama schools and for at A level, and exploring rehearsal techniques for the classroom with teachers in the UK and US. In 2014 she went to China to share Globe techniques with Beijing opera actors at Shenyang University. 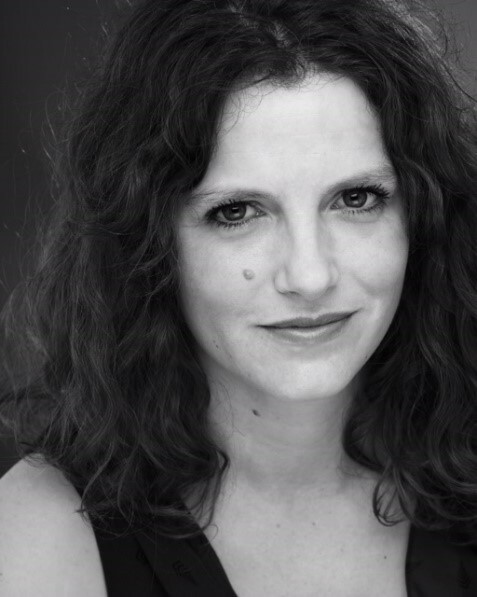 Elsewhere Joanne is on the faculty of Florida State University and Niagra University and has directed on the BA and MA acting courses at GSA/Surrey University, at Duke University North Carolina, at E15/Essex University and at Rose Bruford College and UIMP in Spain. All this while working as an actor, in 2017 for The Globe itself in their touring production of Nell Gwynn, and in 2015 in Much Ado About Nothing, as well as 3 seasons with The Royal Shakespeare Company, and productions for Chichester Festival Theatre, Told By An Idiot and in the West End, and on TV in Wallander, Spooks and Eastenders. Emmeline is an actor who has worked with Shakespeare’s Globe Education department for several years, delivering workshops for students and teachers. She trained at The Poor School in London. She has performed Shakespeare plays for various companies in the UK and abroad. Roles have included Juliet in Romeo and Juliet, Beatrice in Much Ado About Nothing, Viola in Twelfth Night and Titania in A Midsummer Night’s Dream. In 2017 she spent three months in Massachusetts playing Cleopatra in Antony and Cleopatra. Sam trained at Rose Bruford College of Theatre and Performance. He is best known for his roles in TV shows, "Witless", "New Tricks", "Foyle'War”, and "Midsomer Murders”. His recent Shakespeare credits include: Richard III (Nottingham Playhouse), and King Lear (Bath Theatre Royal). In addition, Sam has taught and directed on BA (Hons) Acting programmes, firstly returning to Rose Bruford College, then moving to the Italia Conti Academy of Theatre Arts, and now freelancing. He also runs his own one to one sessions for students looking to go to drama school, actors in training, and professionals preparing work. Sam has been a practitioner for Globe Education for three years, working with all ages.